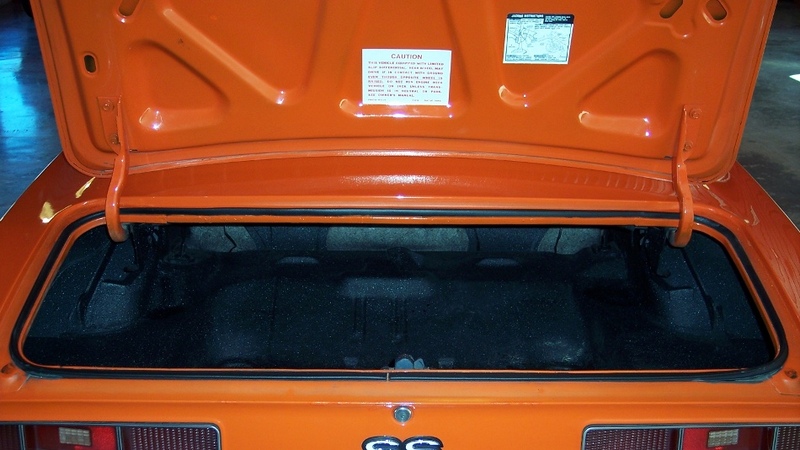 Just the facts on this 69 Camaro for sale: Hugger Orange, steel SS hood, SS front grille emblem, fender emblems, rear tail panel emblem, front air dam and rear spoiler. 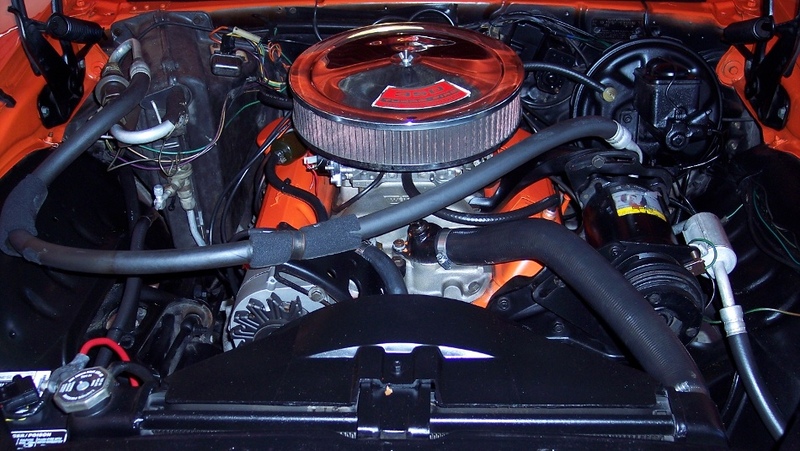 350ci small block Chevy motor (engine casting 3970010) with an Edelbrock carburetor w/electric choke, Weind intake, stock exhaust manifolds with dual exhaust. 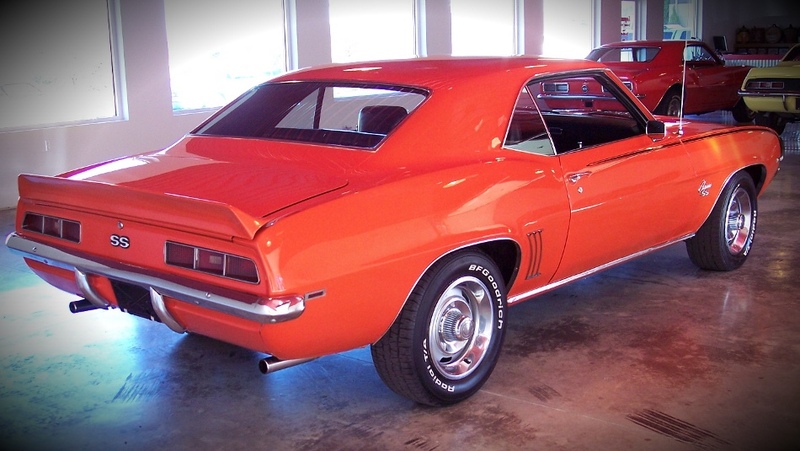 Power steering, power front disc / rear drum brakes, heat and AC equipped. 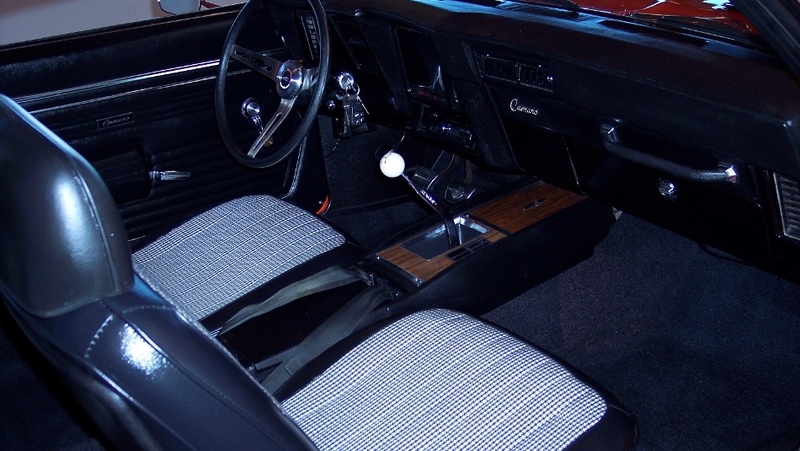 4-speed manual transmission and GM 10-bolt rear. 54845 miles on odometer, and about 5k miles on new driveline. 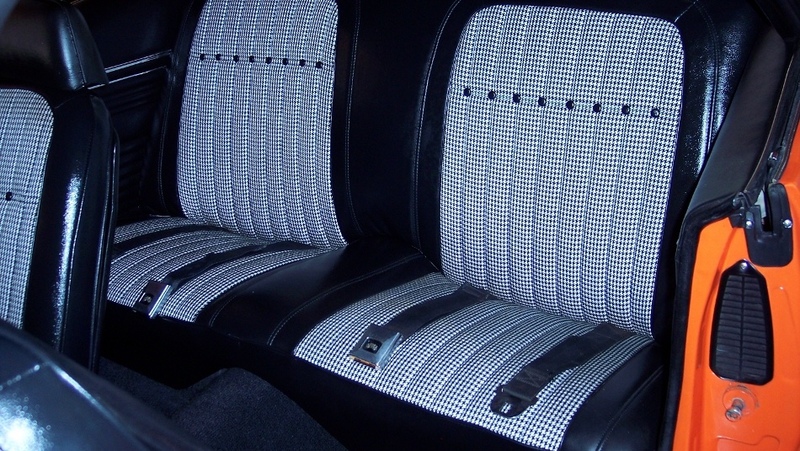 All black interior with black & white houndstooth seats, Hurst 4-speed shifter, factory 120 mph speedometer and fuel gauge. 15 inch Rally wheels with fairly new BF Goodrich Radial TA 235/60R15 tires. Contact us for more details and current pricing info.